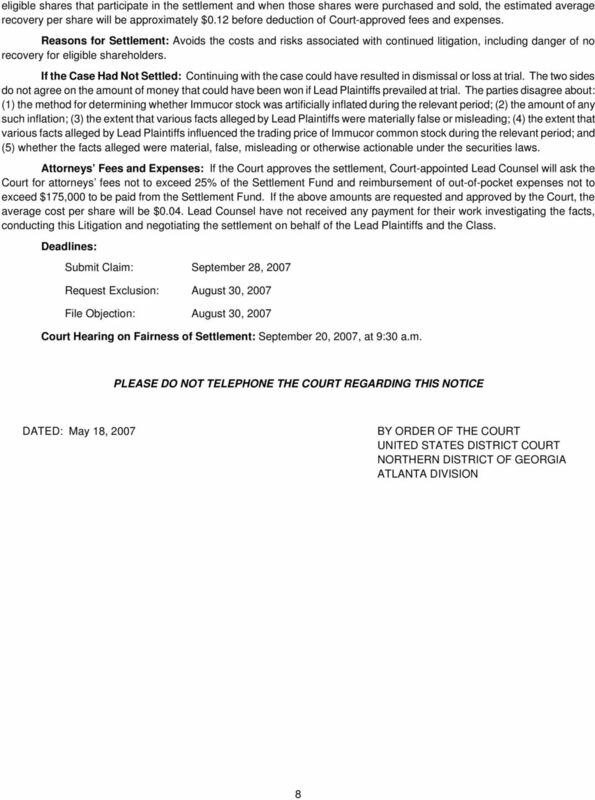 Download "UNITED STATES DISTRICT COURT NORTHERN DISTRICT OF GEORGIA ATLANTA DIVISION : : : : CLASS ACTION"
1 TO UNITED STATES DISTRICT COURT NORTHERN DISTRICT OF GEORGIA ATLANTA DIVISION x In re IMMUCOR, INC. SECURITIES LITIGATION This Document Relates To Civil Action No. 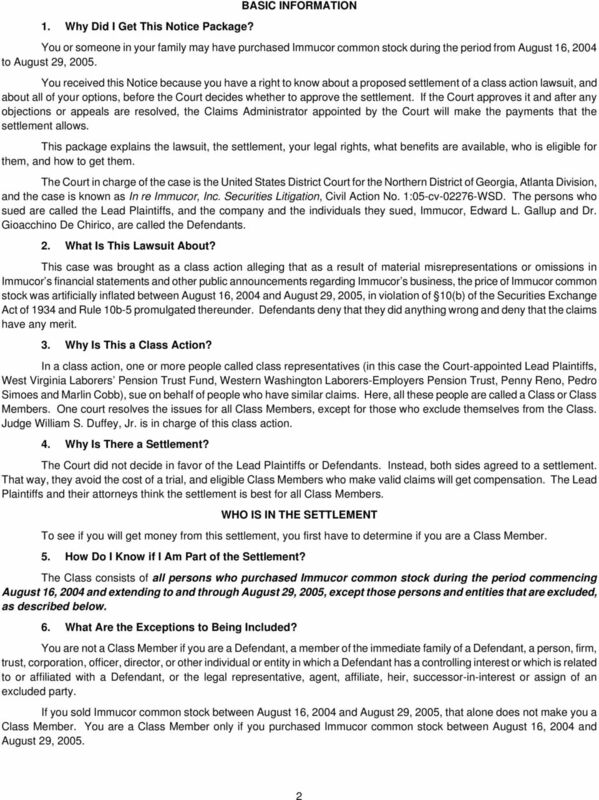 105-cv WSD CLASS ACTION ALL ACTIONS. 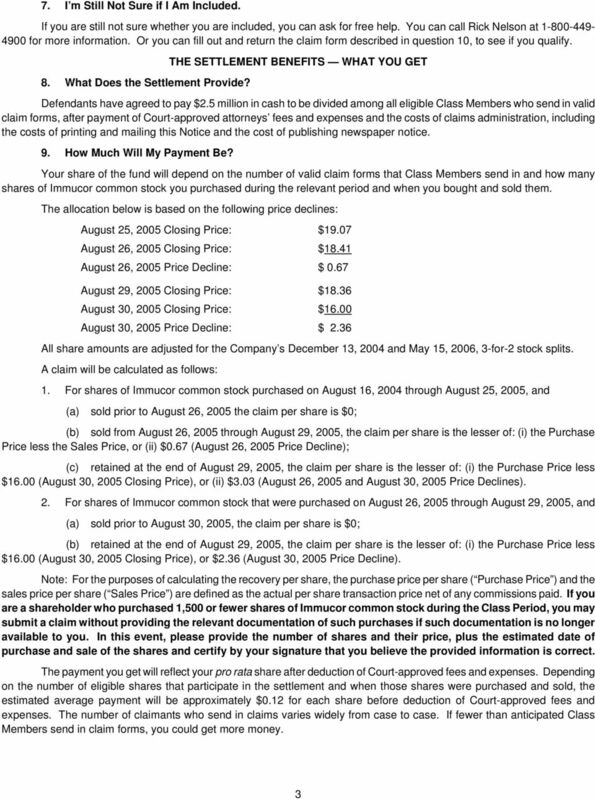 x NOTICE OF PENDENCY AND PROPOSED SETTLEMENT OF CLASS ACTION ALL PERSONS WHO PURCHASED IMMUCOR, INC. ( IMMUCOR ) COMMON STOCK DURING THE PERIOD AUGUST 16, 2004 THROUGH AND INCLUDING AUGUST 29, 2005 (THE CLASS AS MORE PARTICULARLY DEFINED BELOW) A federal court authorized this Notice. This is not a solicitation from a lawyer. 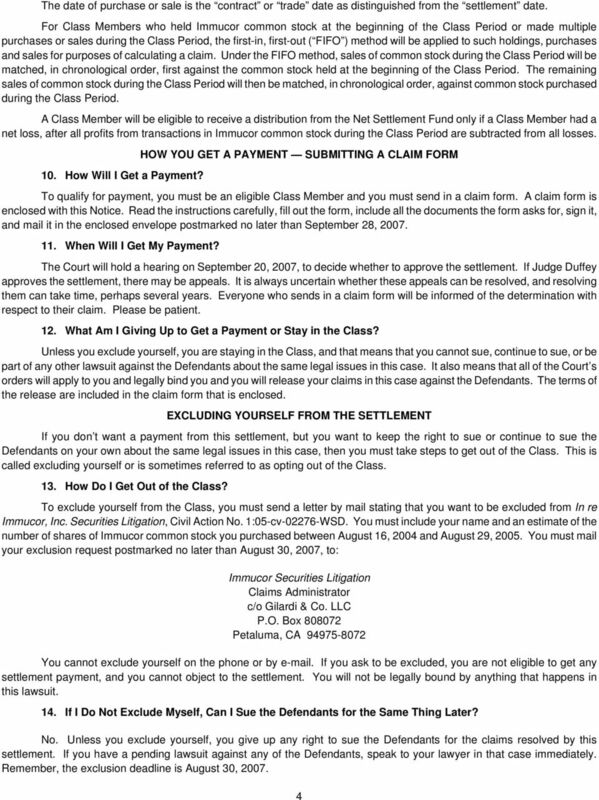 BRIEF SUMMARY OF YOUR LEGAL RIGHTS AND OPTIONS IN THIS SETTLEMENT SUBMIT A CLAIM FORM EXCLUDE YOURSELF OBJECT GO TO A HEARING DO NOTHING The only way to get a payment. Get no payment. This is the only option that allows you to participate in another lawsuit against the Defendants relating to the legal claims in this case. You may write to the Court if you don t like this settlement. 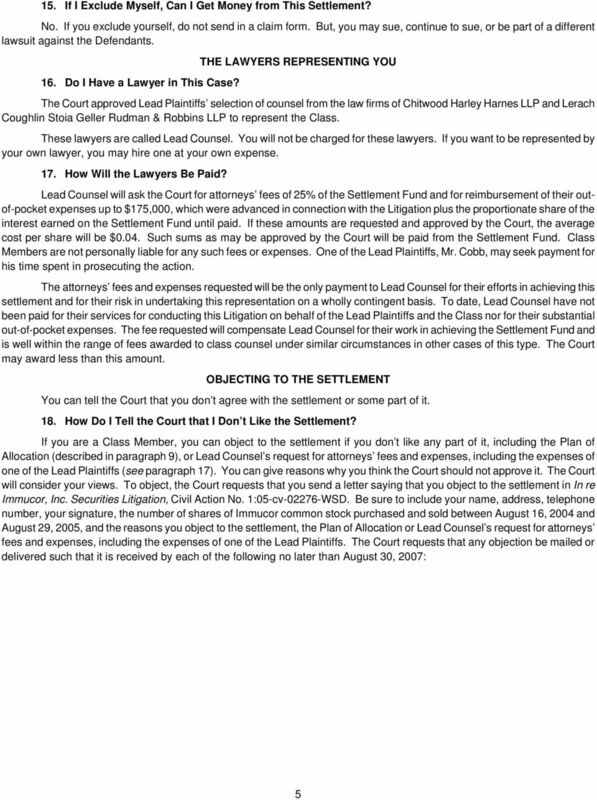 You may ask to speak in Court about the fairness of the settlement. 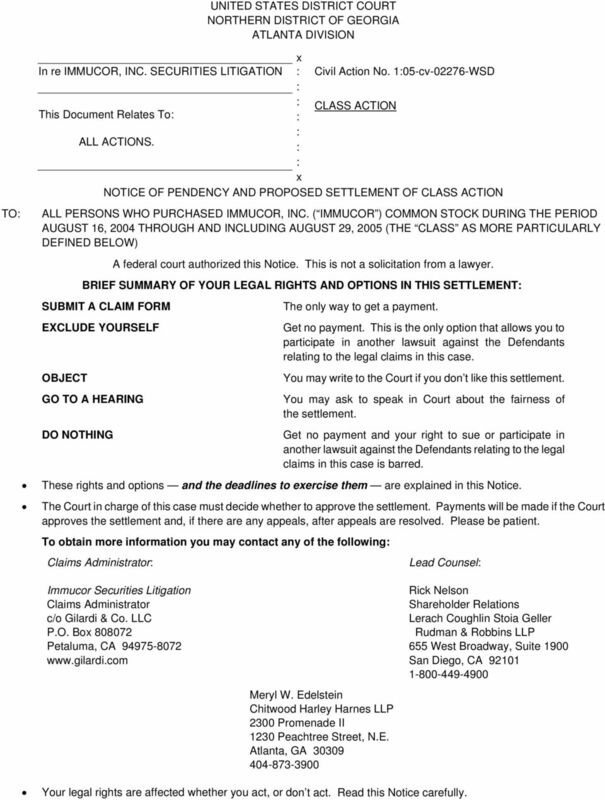 Get no payment and your right to sue or participate in another lawsuit against the Defendants relating to the legal claims in this case is barred. These rights and options and the deadlines to exercise them are explained in this Notice. The Court in charge of this case must decide whether to approve the settlement. Payments will be made if the Court approves the settlement and, if there are any appeals, after appeals are resolved. Please be patient. 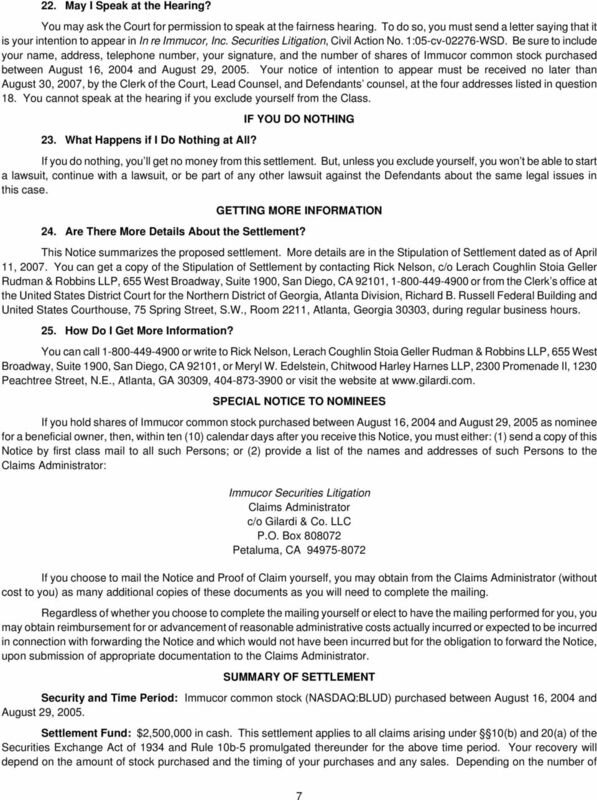 To obtain more information you may contact any of the following Claims Administrator Lead Counsel Immucor Securities Litigation Claims Administrator c/o Gilardi & Co. LLC P.O. Box Petaluma, CA Meryl W. Edelstein Chitwood Harley Harnes LLP 2300 Promenade II 1230 Peachtree Street, N.E. 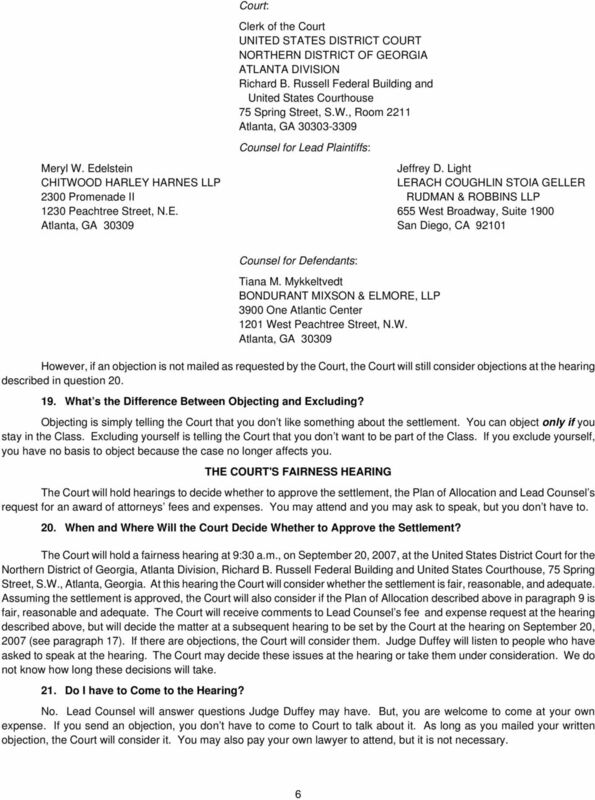 Atlanta, GA Rick Nelson Shareholder Relations Lerach Coughlin Stoia Geller Rudman & Robbins LLP 655 West Broadway, Suite 1900 San Diego, CA Your legal rights are affected whether you act, or don t act. Read this Notice carefully.